Carole King (born Carol Joan Klein, February 9, 1942) is an American composer and singer-songwriter. She is the most successful female songwriter of the latter half of the 20th century in the US, having written or co-written 118 pop hits on the Billboard Hot 100 between 1955 and 1999. King also wrote 61 hits that charted in the UK, making her the most successful female songwriter on the UK singles charts between 1952 and 2005. King’s career began in the 1960s when she and her first husband, Gerry Goffin, wrote more than two dozen chart hits, many of which have become standards, for numerous artists. She has continued writing for other artists since then. King’s success as a performer in her own right did not come until the 1970s, when she sang her own songs, accompanying herself on the piano, in a series of albums and concerts. After experiencing commercial disappointment with her debut album Writer, King scored her breakthrough with the album Tapestry, which topped the U.S. album chart for 15 weeks in 1971 and remained on the charts for more than six years. King has made 25 solo albums, the most successful being Tapestry, which held the record for most weeks at No. 1 by a female artist for more than 20 years. Her most recent non-compilation album was Tapestry: Live in Hyde Park in 2017. Her record sales were estimated at more than 75 million copies worldwide. She has won four Grammy Awards and was inducted into the Songwriters Hall of Fame and the Rock and Roll Hall of Fame for her songwriting. She is the recipient of the 2013 Library of Congress Gershwin Prize for Popular Song, the first woman to be so honored. She is also a 2015 Kennedy Center Honoree. They Only Come Out at Night is the third studio album by Edgar Winter and the first by the Edgar Winter Group. A commercial hit, the album reached the #3 slot on the Billboard 200 chart and also features two of the band’s biggest songs: “Frankenstein” (#1 on the Billboard Hot 100) and “Free Ride” (#14 on that same chart). Musically, besides the country track “Round & Round,” the album features a mixture of mostly blues rock and boogie woogie induced rock in a generally carefree and upbeat sound. The album eventually sold two million copies. In 2006, the album was reissued on Super Audio CD by Mobile Fidelity Sound Lab as well as the 2008 Quadraphonic rendition was reissued by SBME Sony BMG (Bertelsmann Music Group) Music Entertainment. In the same year, it was featured in the video game Prey. Writer Stephen King mentioned the album (specifically its cover artwork) in his 1975 novel ‘Salem’s Lot. The album is mentioned in the song “I Love My Dad” by Sun Kil Moon on their 2014 album Benji. The Australian cassette issue of the album in 1973 transposes “Undercover Man” and “Frankenstein” (i.e. Frankenstein ends side A instead of side B) and has a wholly different cover: a photo of the band posing against a black background. The American cassette follows the same track order as the Australian issue, but retains the original cover. The album was certified gold April 30, 1973 by the RIAA. Music is the third album by American singer-songwriter Carole King. It is a continuation of the style laid down in Tapestry. The album was released in December 1971 and quickly rose to the top of the charts. It features songs such as “It’s Going to Take Some Time” (US No. 12 by The Carpenters), “Sweet Seasons,” a No. 9 hit for Carole King, and “Brother, Brother”. Carole King: Music experienced immediate success and was certified gold on December 9, 1971, days after release. It was certified platinum on July 17, 1995. The album reportedly sold 1,300,000 copies in the United States on the day of its release. Music entered the top ten at No. 8, becoming the first of many weeks both Tapestry and Carole King: Music would occupy the top ten simultaneously. The album hit No. 1 on New Year’s Day 1972 and stayed there for three consecutive weeks. In this special Vinyl Resting Place program its a Jewish Christmas Special! Join Willie B 2pm ET featuring the music of Herb Alpert, Carole King, Mel Torme, Bette Midler and many many more. Join Ron Kovacs for another edition of Sunday. This week music from Fairport Convention, Jethro Tull, Steeleye Span, The Band, The Beach Boys, Creedence Clearwater Revival, Crosby, Stills & Nash, The Mamas & the Papas, Simon & Garfunkel, Ryan Adams, Joan Armatrading, Beck, Jackson Browne, Harry Chapin, Tracy Chapman, Jim Croce, Donovan, Bob Dylan, Dan Fogleberg, Steve Forbert, Ben Howard, Carole King, Mark Knopfler, Gordon Lightfoot, Van Morrison, Patrick Park, Ed Sheeran, Bruce Springsteen, Cat Stevens, Teddy Thompson, Eddie Vedder, Neil Young, Warren Zevon and more . .. . Live starting 8am on RadioMaxMusic. This week on the Vinyl Resting Place – the women who went to number 1 during the Rock and Roll era. Featuring hits from Joan Jett & The Blackhearts, Rosemary Clooney, Carole King, Lulu, Dolly Parton, Sheena Easton, Little Eva, Gladys Knight & The Pips, Vicki Lawrence, Bonnie Tyler, Jo Stafford, Blondie, Brenda Lee, Singing Nun, Laurie London, Little Peggy March and more…. Join Willie B, 5pm ET on RadioMaxMusic. 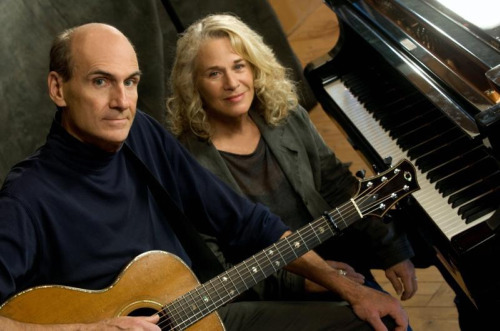 Live collaboration between Carole King and James Taylor and their original band rejoined for 6 shows at the famed Troubadour Club in L.A. Recorded live at the legendary Los Angeles Troubadour club in November 2007. 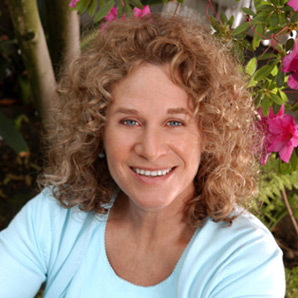 Carole King (born February 9, 1942) is an American singer and songwriter. Her career began in the 1960s when King, along with her former husband Gerry Goffin, wrote more than two dozen chart hits for numerous artists, many of which have become standards, and she has continued writing for other artists since then. She had her first number 1 hit as a songwriter in 1960 at age 18, with “Will You Still Love Me Tomorrow”, which she wrote with Goffin. In 1997, she co-wrote “The Reason”, which was a hit for Celine Dion. Her success as a performer in her own right did not come until the 1970s, when she would sing her own songs, accompanying herself on the piano, in a series of albums and concerts. After experiencing commercial disappointment with her debut album Writer, King scored her breakthrough with the album Tapestry which topped the U.S. album chart for 15 weeks in 1971 and remained on the charts for more than six years. King has made 25 solo albums, the most successful being Tapestry, which held the record for most weeks at #1 by a female artist for more than 20 years until broken by Whitney Houston (for the soundtrack album The Bodyguard). Her most recent non-compilation album was Live at the Troubadour in 2010, a collaboration with James Taylor that reached number 4 on the charts in its first week and has sold over 600,000 copies.